Nicole is an entrepreneur and has been mentoring, supporting, and investing in entrepreneurs for over 15 years. Nicole got her entrepreneurial start in the 4th grade, orchestrating cousins into theatrical plays and charging neighbors admission. While earning her masters degree at the University of Florida, Nicole co-founded a tech startup that retailed products to the property management industry. It was there she developed her lifelong passion for supporting tech entrepreneurs. She took her learnings of how to scale and applied it to CTEK, an incubator in Colorado supporting tech startups in 2002, before accelerators existed. She helped grow CTEK from 1 to 5 offices across the state, and was an early catalyst in developing the startup ecosystem in Colorado. Most recently, she is the Chief Innovation Officer at Techstars – a global network and investor in early-stage web software companies. She’s been with the company since it’s earliest days, yet has been instrumental in its growth from one office in Boulder, CO to a global powerhouse, featuring investment offices in 18 cities worldwide, events in over 500 cities globally, with $265M in capital under management and a market cap of over $5B. Through Techstars she’s invested in over 90 startups, most of which she still supports to this day. In addition to her role at Techstars, she’s also on the board of Pana and Simple Energy. Previously she’s been on the boards of Owlet, the Application Developer’s Alliance, and Pledge1Percent Colorado, She was named one of the Coolest People in New York Tech and an Extraordinary Woman in New York Tech by Business Insider, Marie Claire named her one of the NewGuard, and Entrepreneur Magazine named her One of the Most 7 Powerful Women to Watch and featured in the Denver Business Journal. She’s been featured on CNBC, Inc.com, and Huffington Post, and her talks have been featured at SXSW, TEDx, WebSummit, Pioneers Festival, Arctic festival, the University of Colorado, Real Leaders, @WomenatForbes Mentoring Moments, and many, many more. Nicole blends the strategic with the tactical and loves pushing her own limits and the limits of those around her. She’s been a competitive swimmer, triathlete, and boxer(?!?). She’s summited Mt. Rainer, is a NOLS graduate, has guided adventure travel trips, and knows enough about backcountry medicine to make her dangerous, She loves traveling to places radically different than home and mourns the spread of the western culture across the globe. She lives the mantra #GiveFirst and does one philanthropic thing every year, and is always looking for new ways to learn, grow, and help others. 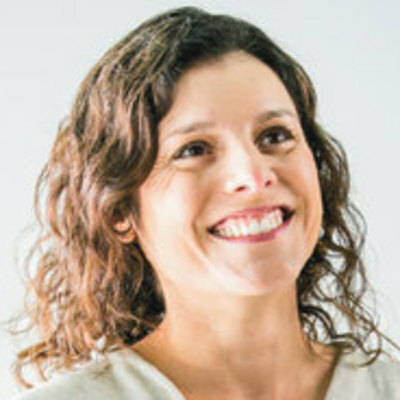 When not working with startups, you’ll find Nicole smothering her husband and two kids with kisses, or hiking, biking, skiing, reading, and lamenting how little time there is to do everything she loves.